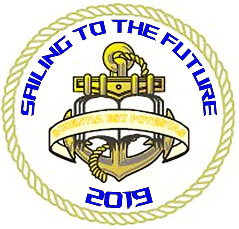 "Mircea cel Batran" Naval Academy organizes Naval technique and didactic equipment exhibition for naval education "SAILING TO THE FUTURE" - 1st edition, from 17.05.2019 to 19.05.2019. The exhibition will take place during the international conference SEA-CONF 2019. The exhibition displays naval equipment, navigation equipment and instruments, teaching aids for naval education, specialized programs, books and specialized maritime journals, sports and pleasure boats, equipment dedicated to the maritime field, college and higher maritime education, programs and results of the research-development-innovation activities.